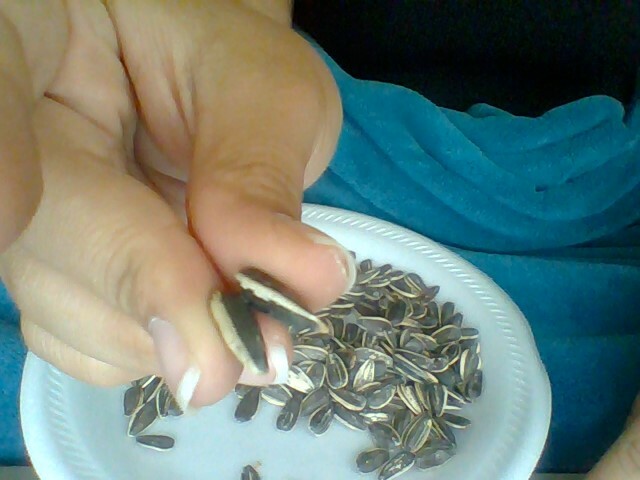 I like the taste of sunflower seeds, however I really dislike the process of shelling them. The bags say "Eat. Spit. Be happy." But I have found that shelling it in one's mouth is not only messy, it also tends to splinter the shell and hurt gums. I have tried shelling them out by hand, but that is exceedingly time-consuming. I know they can be purchased shell-less but I was wondering if there is some trick, as I like some of the seasoned kinds, just not a fan of the process. Any trick to unshell multiple sunflower seeds efficiently? Here's a quick and easy way where you only your teeth and your nails. 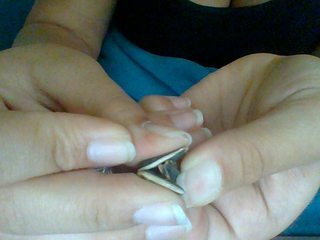 The tip of the sunflower seed shell has a little bit an edge, so I bite that off and then I crack open the cut that I made with my teeth with my nails. I have to soon partake in what is known as a "sweatshop" activity in my U.S. History class in a week. I went home and timed myself for 30 minutes to see how many i can do in that amount of time. I found if you pick out two of the most hardest shells you can place them between your thumb and middle finger and use them to pinch the other seeds. By doing this you make a crack or slit in the seed and once you have done a pile of cracked seeds you can then take them and open them easier and quicker. Not the answer you're looking for? Browse other questions tagged seeds food-processing or ask your own question. Are caraway seeds and fennel seeds the same? How do they extract kernels from sunflower seeds in mass production? Sprouting fenugreek seeds? Are seeds for sprouting different than the ones in the spice aisle? Mixing a banana with homemade sunflower butter turned into a horrible, leathery substance. Why? How to pick avocadoes with small seeds?